The Vespa Club Mantova (the organizer), mandated by the Vespa Club of Italy, under the custodial care of the Vespa World Club, is permitted exclusively to organize Vespa World Days 2013 in Mantova - Italy from 12th June to 15th June 2014. The necessary registration data and the registration fee will be forwarded to the organizer. Before, during and after the event, the organizer is solely responsible for communication and coordination for the member clubs of the Vespa World Club. All the people duly registered to a local Vespa Club affiliate to a National Vespa Club, member of the Vespa World Club can register with Full Entry Ticket registration. (see Art 7). Every President of each Local Vespa Club will contact the own National Vespa Club in order to receive the log in dates. Only legally licensed and insured vehicles made by Piaggio are admitted to this event. (see Art 11). The organizer reserves the right to introduce a “limited entry” besides the before mentioned “full entry”. The maximum nuber of full entry tickets will be 2014: 900 tickets will be reserved to Vespa Club Italy and 1114 for foreign Vespa Clubs. If any parts of the event, for any reason, are limited to a set number of participants people with "full entry" will be given priority in participating in the event. In addition to the rules and guidelines described here, the rules of the Vespa World Club and organizer for organizing an International Vespa Event are valid. The participation for the participants is at their own risk and responsibility. The organizer is not liable for any claims by the participants and is safeguarded by the participants from any claims of third parties following any deed or omission of those participants. The Italian Law is valid for all parts of the event. Bring appropriate clothing for the Gala dinner on Saturday evening where the dress code is formal. Participants with inappropriate clothes or in non-driving conditions, i.e. being drunk, can be excluded from the dinner without compensation. Smoking at the Gala Dinner is not allowed. The organizer reserves the right to change the program without prior notice. B - Registrations will be open on 26th Nov at 4 pm, every President of a Local Vespa Club could ask to the National Vespa Club how to fill the registration. The payment, due to fiscal reason, will be done after 3rd January 2014. All the President of the registered local VC will receive by email the details for the payment. The bank details will be published on the web-site (registration page), too. C - Registration will be closed prematurely if the places available (2014Full entries tickets) should be exhausted before that date. The maximum number of subscribers will be 900 for tickets reserved for members of the Vespa Club Italy and 1114 to foreign Vespa Club. This until December 30, 2014, after that date, any remaining available places will be awarded regardless of the country of the Club. D - Payment must be received like in point b. Every participant needs to take care of their accommodations on their own. Bookings can be done via the accommodation suggestion on www.vespaworlddays2014.it. Participants who endanger the safety of others, the reputation of this event or are damaging vehicles or infrastructure will be required to pay for damage caused, and also can be excluded from further participation of the whole event without compensation by the organizer. Participants who violate the rules and guidelines described here, and/or submit incorrect data for their registration are automatically declined (no compensation will be paid). All decisions of the “event judges” will be accepted by the participants without any possibility of appeal. Protests have to be placed in written form with the organizer no more than one hour after notice of the placements. If the protest is declined a protest fee of € 50 will be collected to cover the costs of the procedure. Only legally licensed and insured vehicles can be admitted to this event. Each participant is driving and competing at his/her own risk. The organizer disclaims liability of drivers, pillion riders and third parties, for personal injury, damage of property and financial loss, before, during and after the event. With nomination/registration the participant accepts the general rules and guidelines for this event, amongst which these terms and conditions, and exempts the organizer of Vespa Club Mantova, the Vespa Club of Italy and the Vespa World Club from all liability. 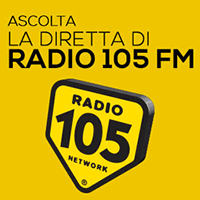 The participant must comply with the Italian Law in its current version. Examples: Driver and pillion rider of motorcycle/scooter must wear helmets, protective clothing conform the law, speed-limits, no driving after drinking alcohol etc. With nomination/registration the participant accepts the general rules and guidelines for this event, amongst which these terms and conditions (this document). The participant explicitly accepts the rules, guidelines and conditions without reservations stated in the document. Participants accept following statement: "I explicitly accept, and I agree, that all transmitted personal data can be used, stored and analyzed for registration, organizational and statistical purpose by the Vespa World Club and by the organizer. The organizer is authorized to decide about the registration including declining a registration to the event, and is authorized to forward the reasons and supporting data to the Organizer and the Vespa World Club (including the national associated Vespa Clubs). The acceptance specifically includes the collection, storage and usage of the personal data for verification after the event." Participants who were nominated via an official Vespa Club are subject to the data protection rules of their Vespa Club. The organizer is using the personal data for the registration, organization and the statistical analysis. The national Vespa Club is authorized to get access to the data of the individual clubs of their nation. In no case, personal, other than compulsory legal event, data will be forwarded to third parties outside of the Vespa World Club organization and the organizational committee of this event. The organizer is obligated to protect the personal data of the participants from unauthorized access and to delete and destroy the data after the event. The organizer reserves the right to implement a cctv system on the event location as well as on the parking lot. The ‘Limited entry’ participation is limited to all people who are a member of a national or international Vespaclub which is a member of the Vespa World Club. They are also subscribed on time, have paid and got a confirmation of their subscription (cfr. Art. 7). 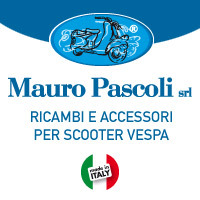 Only legally subscribed and insured vehicles of the brand Piaggio are admitted to this event (cfr. Art. 11). The entry-price for ‘limited entry’ amounts to 60 euros. This price includes the same as a ‘full entry’, except for the seat at the gala dinner. If there are for certain parts of the event, for whatever reason, not enough participants, people with ‘full entry’ are given priority.